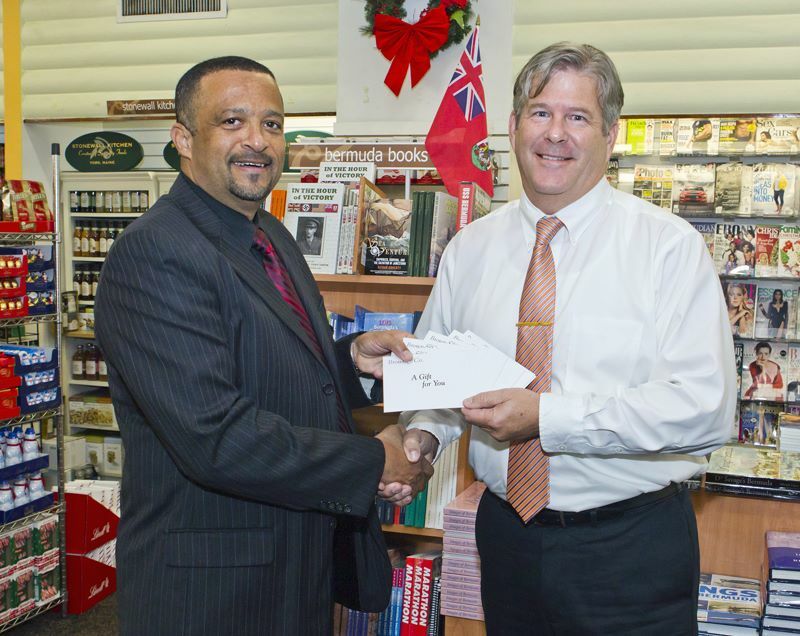 Earlier today [Nov 26] the Minister of Education, R. Wayne Scott met with Bermudian author Jonathan Smith who donated $500 book certificates to Government middle and secondary school libraries. As a follow up to the successful book launch of Island Flames, Mr. Smith today fulfilled his pledge to donate part proceeds to educational or charitable institutions that promote reading among school-aged young persons in Bermuda. Mr. Smith said, “My objective was simply to share the success of Island Flames. “What can be more meaningful than contributing to the public education system by ensuring that these donations go to encouraging the acquisition of Bermuda books for school libraries and to make them accessible to Bermudian students. Minister Scott thanked Mr. Smith for his generous donation and said, “Jonathan had committed to giving back part of the proceeds and we are very pleased to be the recipients of these certificates which will go to all middle and secondary schools libraries. 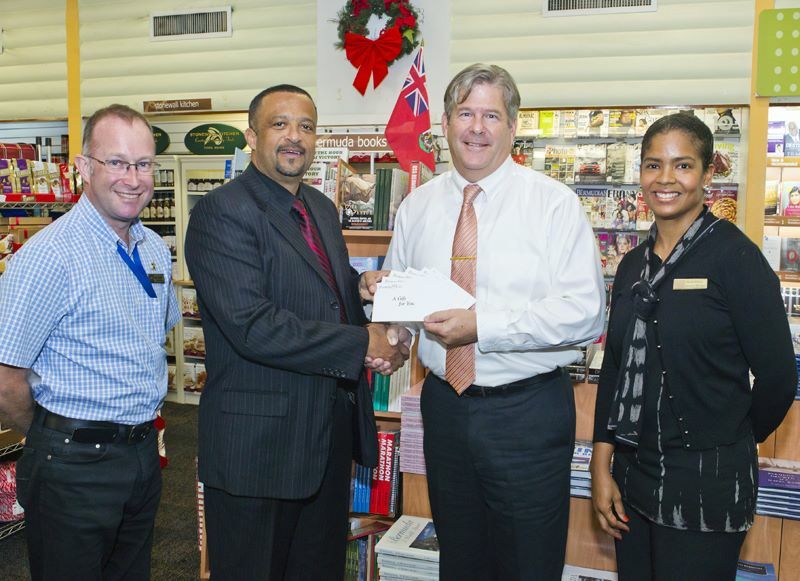 Schools can use the gift certificates for the specific purpose of purchasing books about Bermuda at the Bookmart at Brown & Co.